My daughter and I finally made a trip to Dreadful Things. I'm kind of ashamed that it took me this long to get there, because this is my kind of place. 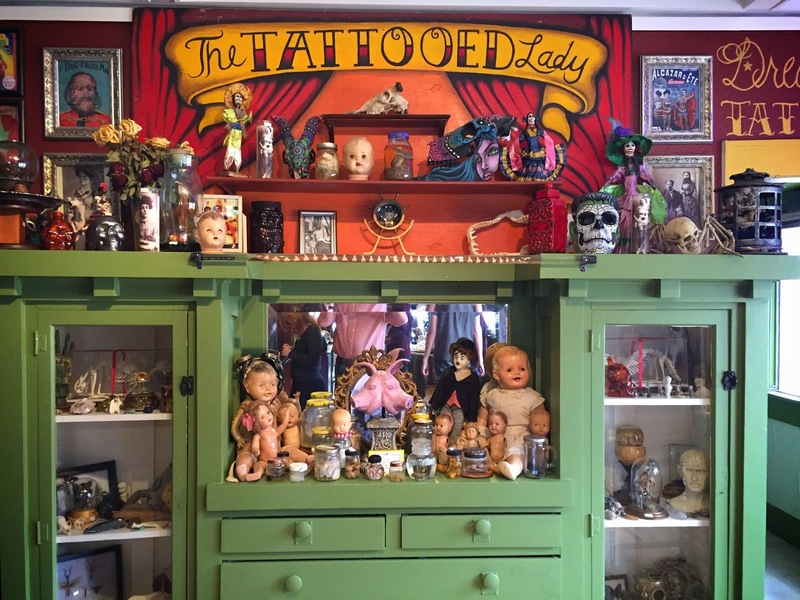 The store is a really well done blend of Dia de los Muertos, carnival sideshow and freak attractions, natural oddities, gallery and jewelry. 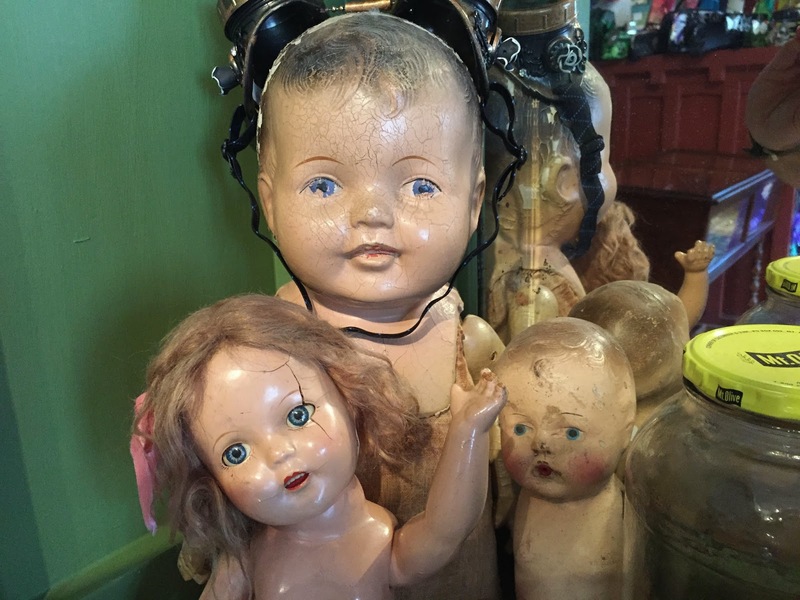 The only other place somewhat similar to Dreadful Things in El Paso is the decades-old Dave's Pawn Shop on South El Paso Street, but they really are two of a kind. Dreadful Things had a very cool cabinet of curiosities that highlights the very colorful shop. There's something exciting to see around every corner and is well worth the trip to 2226 Montana Avenue. Also, the prices at Dreadful Things are very reasonable...my daughter found an awesome steampunk necklace for only $12! Lots of local artists are represented at the gallery.